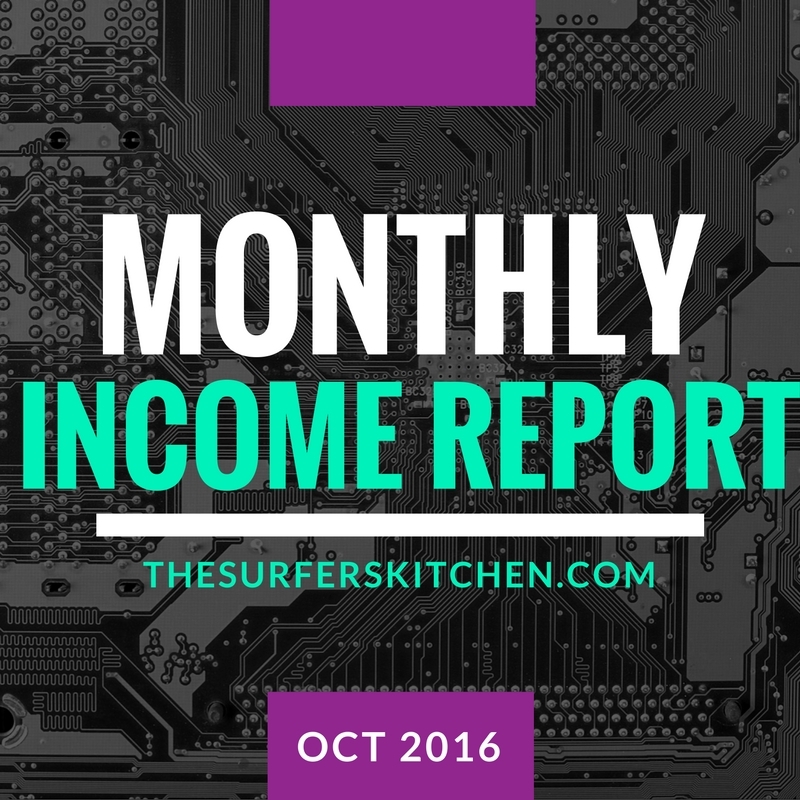 As promised, here is the first of our monthly income and business posts that will give you an update on what is going on behind the scenes at The Surfer’s Kitchen as well as plans and goals for the future. For the past month, I have been working to move content that I loved from Forty Cakes into The Surfer’s Kitchen. I spent so much time developing some really great recipes over there and I would really hate for them to just disappear. I do know that Google penalizes you for copying content so I am trying to re-write and re-fresh those posts as much as possible. I had hoped to have this done by the end of September but life, work, and kids made it impossible to stick to that schedule. I am almost done bringing most of the content over that I plan to re-use and should be in a few days. I realize I end up spending A LOT of time, modifying my site as I try on new themes. For this site, I have transitioned between a bunch of different themes and I still am not completely happy. But, I decided to stop fussing with the theme and actually develop content. Like many people have said before me, content is king. I may come back to this in January after I have a chance to get through the cooking frenzy that will be November and December. This is something that is in progress. I have my artist husband working on logos and none of them are my favorite. Hoping to narrow down the selection soon as I really want to have a great logo in the next week or so. If he can’t give me something that I really love, I am going to try 99 Designs as I have heard many people have had good luck with that. Even though I have had a food blog before, attended many food blog conferences, and run another successful business offline, I really wanted to bring a different game to The Surfer’s Kitchen. Like I mentioned before, this time I am treating this site like a new business and with every new business, it is good to get the lay of the land. To do this, I enrolled in the Food Blogger Pro course and have been working my way through the videos. There are a lot of videos and I have found that in almost every single video, I have learned at least one new thing. For example, this week I have been going through the lessons on Pinterest. I’m sure you all know that Pinterest has the potential to really drive traffic to your website. But, did you know about services such as viraltag or tailwind to help you really get and maintain a great presence on Pinterest? Me neither. I have been working through the videos on Food Blogger Pro and attempting to implement as many pieces as I can into my site. I can’t recommend Food Blogger Pro enough—there are lots of tips and tricks that I wished we would have learned for our other business. Things like SEO, social media marketing and understanding Google analytics relate to any business with a presence on the web. Not just food bloggers. As I am going through the videos and making changes to my food blog, I am also taking notes and applying the information to SURFit. The program isn’t just videos either. Each month, there is an update discussing new tools that might be useful, trends to be thinking about and more from the Pinch of Yum Headquarters. My only complaint about the program is that there is so much to learn and it can feel overwhelming when you try to implement everything on your own site. However, they keep a great positive attitude and recommend just showing up each day, to build your site, brick by brick. Baby steps……. They are doing open enrollment now through November 10th so if you have any interest, I would highly recommend checking it out. The cost is $29 per month but I find it incredibly valuable. If you click the link below, to sign up. While this is a pretty depressing income report, I like to think that the only way to go is up! One photo selected for Tastespotting! I feel like I took some really good photos and that my skills are improving. Really starting to understand how to best use Pinterest. 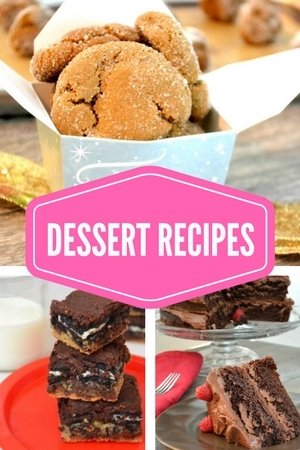 To write and post at least three recipe posts per week. To work on building Pinterest boards and followers. To get at least two photos accepted to food sharing sites. To enjoy each and every minute of building this site because if I don’t enjoy it, I shouldn’t be doing it. Got turned down for a few photos on FoodGawker and Tastespotting for photos that I was sure would be accepted. Tested a recipe for an cinnamon apple dutch baby but the photos turned out horrible. Peaks and ebbs of traffic. I am still trying to get a hang of this and get really excited when there is a peak day and then really down when the day is slow. That’s all for now! I hope you all have a great November and we will see you back here in December for the next, hopefully more successful report.